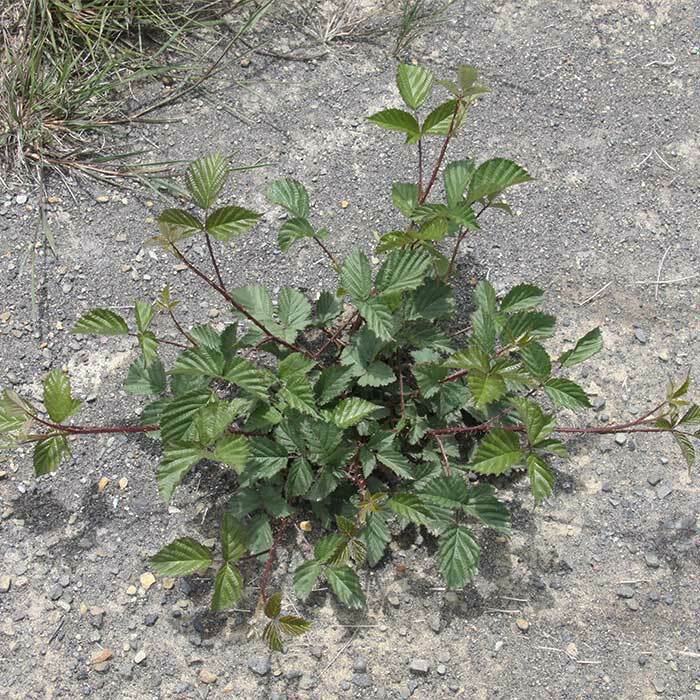 Common in waste areas, hedges, roadsides, scrub, and sometimes even in swampy ground. Now declared a pest plant it invades natural ecosystems, smothering native vegetation. It is also a problem in pasture, plantation forests and other disturbed areas. These are found sprawling or climbing in native bush. Stems are long and semi-woody with backward pointing thorns, often obstructing humans or animals as they move through the bush. When the plant has been grazed or suffered other physical damage it can re-sprout from the roots. May help in the regeneration of native species. Can be a problem in forest plantations and other disturbed areas. Goats will readily graze blackberry, sheep will eat fresh growth, but cattle avoid it. 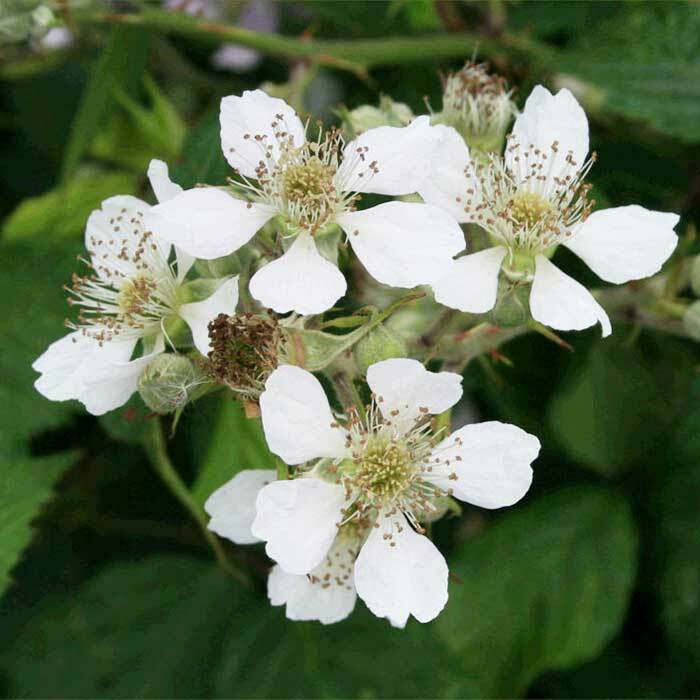 Blackberry can be grazed by sheep and goats, especially in the seedling stage, and this can help suppress its growth. 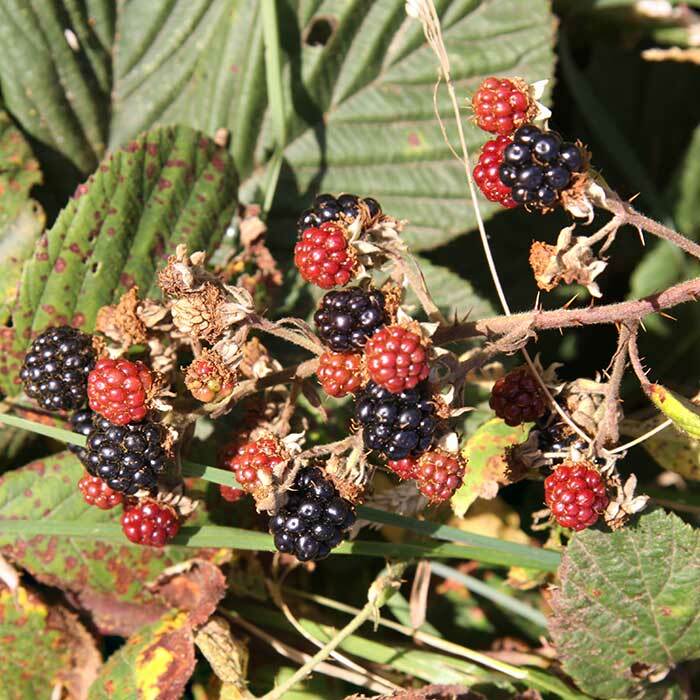 Goats fenced onto areas of blackberry or tethered near it can destroy plants completely. Individual plants or small patches can be dug out. However, ensure root crowns and stems are disposed of properly. If left on the ground they may re-sprout and form ne roots. When spraying re-growth, make sure stems are at least one metre long with fully expanded leaves; large leaves absorb herbicides more effectively. Consult your farm consultant, industry rep or New Zealand Agrichemical Manual for more information about chemical control. Manually spreading the rust won’t help; plants not affected will probably be immune to it. However, slashing plants can increase their vulnerability to rust. Hayes LM 2005. 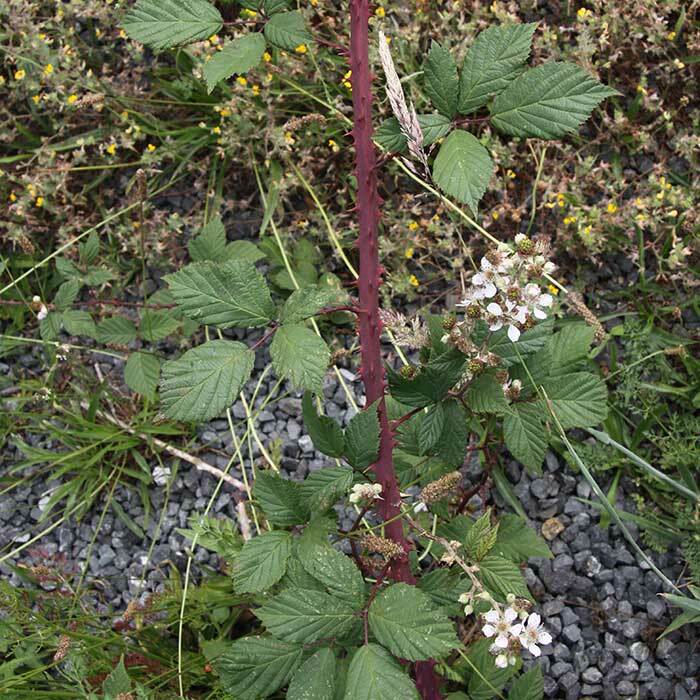 Biological control agents for weeds in New Zealand: A field guide. Landcare Research New Zealand Ltd (accessed 30 July 2014).